Double your fun with the doubly fashionable, doubly asymmetrical straps of these Cross-Strap Slip-Ons. Beginning with a slimmer, more feminine aesthetic that fits perfectly into the leisure-athletic trend, we added breathable stretch-mesh uppers and finger-loops at the heels to make on-and-offs super simple. 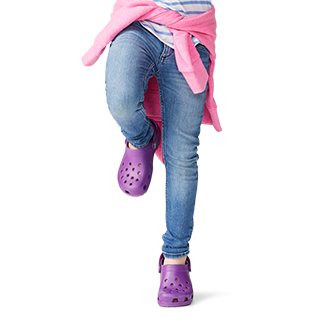 Bold logos let you show your Crocs pride. 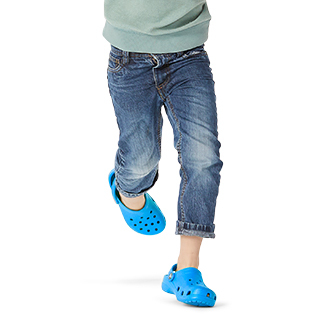 Sleek toe-caps and flex groove outsoles round out what are sure to be your new go-to shoes! 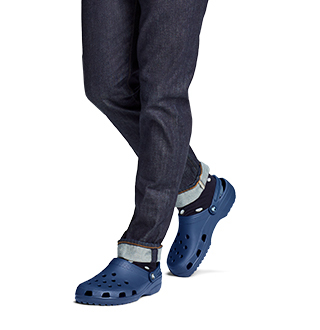 Dual CrocsComfort™: Blissfuly supportive. Soft. 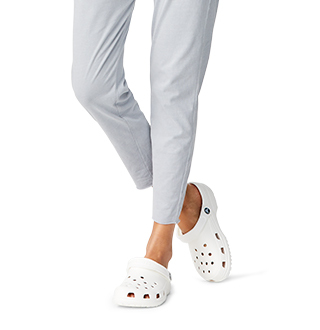 All-day comfort. "I've been using them like slip on shoes. They are comfy and rather stylish. My boyfriend wishes that he had some."